Luksusova, the Polish word for “luxury, has a superior taste that is a result of its potato-base. Most domestic vodkas are distilled from corn, most imported vodkas from rye. Luksusova is made from Poland potatoes, it takes ten times more potatoes than it would take if they used grain to make Luksusova. 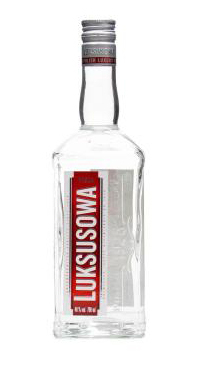 This vodka is diluted with unpolluted artesian water and in 100% Gluten free. Using potatoes creates a smoother texture and richer tasting vodka. With less aromatics than a grain distilled vodka it remains clean, pure and simple, as vodka traditionally should be.